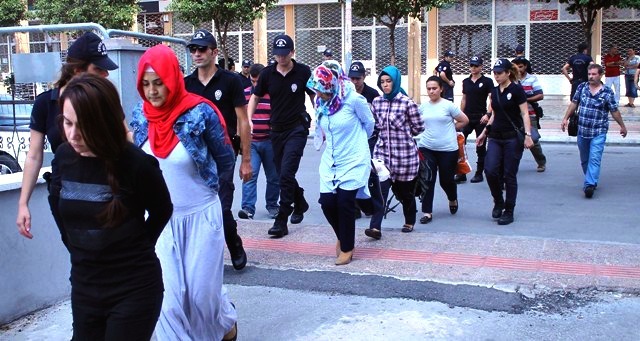 As many as 40,000 people have been reported to the Ankara Police Department for being followers of the faith-based Gülen movement since a failed coup attempt on July 15, the Haber Türk daily reported on Tuesday. “There are fathers who report their sons [over Gülen links], wives who report their husbands and neighbors reporting neighbors. We certainly process all notices and separate out the false ones. If there is an obvious denigration [against someone], we launch an investigation against the person for pressing false accusations against others,” a police officer who wanted to remain anonymous told the daily. Turkey’s Justice and Development Party (AK Party) government and President Recep Tayyip Erdoğan launched a war against the Gülen movement following the eruption of a corruption scandal in late 2013 in which senior government members were implicated, and carried their continuing crackdown on the movement and its sympathizers to a new and controversial level after a failed coup attempt in July. President Erdoğan has frequently called on the Turkish people to report followers of the Gülen movement to the police and prosecutors’ offices so that they can be prosecuted for their links to the movement. Based on police sources, Haber Türk said most of the reports received by the police were false and based on personal problems and hostilities among people. This article originally appeared in Turkish Minute on October 11.